This is one of the cards we will be making at my Christmas Card Stamp-a-Stack in a week! On November 3rd from 2-5pm we will be making this card and 4 others. You will go home with two of each card for a total of 10 cards. Cost is $30 for all of the projects (with envelopes). I got this idea from my friend Patty Bennett. 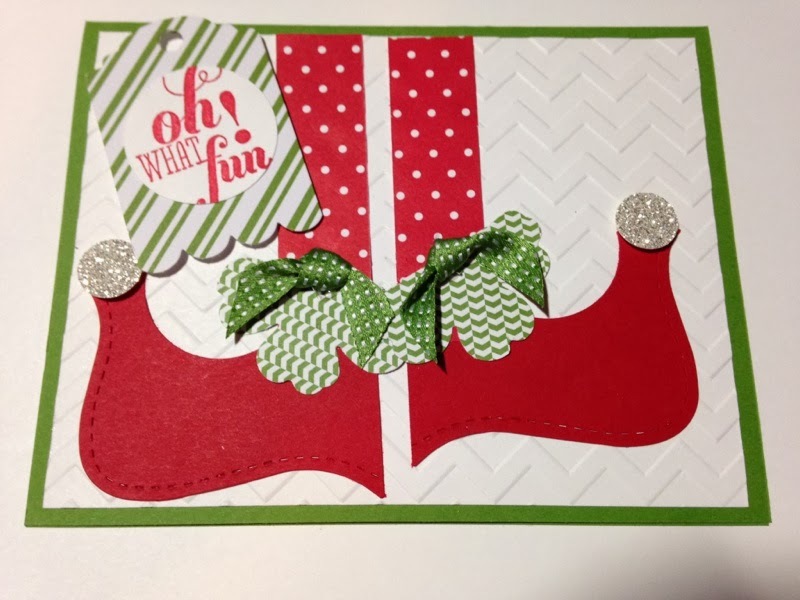 She made a video for this cute card and you can find it here: Patty's Elf Shoe Tutorial. Come back tomorrow for the last card we will make with a picture of all 5 cards! Thanks so much for following my blog!